Ghana Cocoa Board (COCOBOD) says it is ready to access an over-US$300million medium- term facility from international financial market to address fundamental challenges facing growth of the sector. The sector is faced with lack of adequate irrigation facilities, poor road infrastructure linking the farming and market centres to warehouses and the ports, obsolete warehouses, overaged tree stock, perennial diseases and pests. 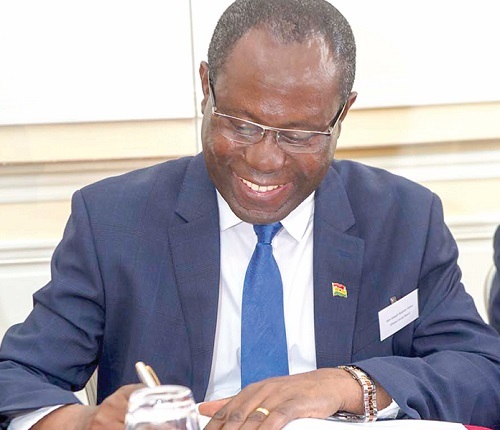 The Chief Executive Officer of COCOBOD, Mr. Joseph Boahen Aidoo, said this during a telephone conversation after a signing ceremony that secured a US$1.3billion syndicated loan for 2018/19 cocoa purchases from some 21 some international banks to fund purchases of 9000,000 metric tonnes of cocoa beans during the crop season, due to open in October. The loan, signed in Amsterdam, is the largest pre-export soft commodity financing facility in sub-Saharan Africa and was over-subscribed by some US$550million, representing about 42 percent, by some 21 participating international banks in the syndication. It is expected that the repayment will be over 12 months, with an interest rate of Libor plus 0.625 percent. Mr. Aidoo assured that for 2018/2019 season, the facility will be used for cocoa purchases and payment of other liabilities. “By this event, Ghanaian cocoa farmers are going to be assured of fair and prompt payment for the fruit of their labour – that is cocoa,” he said. He expressed his profound gratitude to the lead arrangers for their role in securing the facility, and for their commitment and dedication toward growth of the cocoa sector. He thanked the consortium of banks and the international community for their confidence in the country’s cocoa sector and its entire economy. “Over the past 25 years, we have consistently maintained our reputation of honouring our year-after-year syndicated loan repayment without a single default. This record in the financial market is remarkable,” he said. He indicated that perennial pest and diseases, cocoa swollen shoot virus diseases, volatility and fall of cocoa prices, climate change and poor road infrastructure linking producing communities to markets and service centres into the warehouses and ports are the fundamental challenges affecting the industry. He pledged the Board’s commitment in ensuring that the facility will be directed to its intended use for maximum benefit to the cocoa farmers and the entire Ghanaian economy. Lead arrangers of the loan were Amro Bank, Bank of China and Standard Chartered Bank. 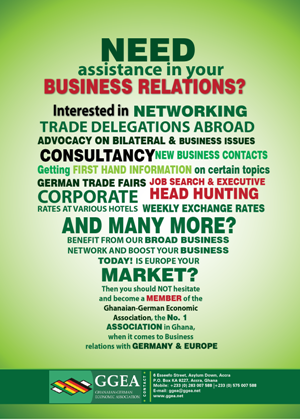 Others are Industrial and Commercial Bank of China and Ghana International Bank. COCOBOD is confident of purchasing around 900,000 tonnes of beans during the 2018/2019 crop year. Mr. Aidoo confirmed that there are signs that this year the Board will attain its projected target. Ghana operates a two-cycle cocoa year consisting of a 33-week main crop (October-June), which is mainly exported to Europe and Asia, and the minor light crop (11-week) that is discounted to local processing firms including the state-owned Cocoa Processing Company (CPC). Ghana produced an unprecedented one million tonnes of cocoa during the 2010-11crop-year, thanks to good weather and improved farming techniques. Ghana is the second-biggest producer of cocoa in the world, with an estimated 800,000 people said to benefit directly from cocoa production.